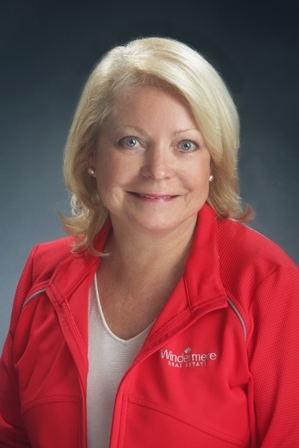 Pernilla has been an Eastside Realtor since 1987. Her market knowledge, enthusiasm and expertise help her to negotiate in her clients' best interest and to provide them the ultimate in personalized service. She prides herself in being prepared, a good listener, a trusted advisor, confidant, and in providing timely information and follow-up. Pernilla's clients appreciate that she's resourceful, courteous, patient and empathetic to their needs. As your agent, Pernilla will utilize over 31 years of experience to successfully help you navigate through the real estate maze. Remember, when it comes to buying or selling your home, there's no substitute for experience. Pernilla has an excellent team and resources to assist her. Windermere offers a superior office staff, the best technology, the finest marketing tools and the highest standards in the industry. They're the #1 company in the Puget Sound area and have their own in-house mortgage and escrow services, property management, a nationwide relocation department, plus a top-notch agent educational facility. Pernilla also gives back to the community by donating a portion of each transaction to the Windermere Foundation which helps homeless and low-income children and families. Pernilla's resume and testimonials are available upon request. "The Ultimate Real Estate Matchmaker"